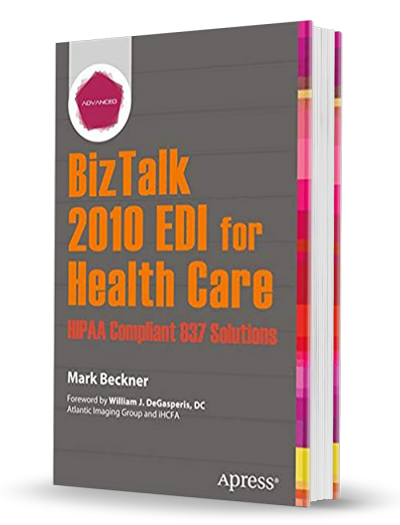 BizTalk 2010 EDI for Health Care: HIPAA Compliant 837 Solutions provides detailed information on how to develop for the 837 EDI standard, covering mapping, trading partner configuration, AS2, SFTP, data extraction, data routing, and batching. This book is a goldmine of information that includes everything you need for a successful implementation. Ideal for: BizTalk 2010 Developers, technical architects, and executives of Health Care Companies looking to implement BizTalk or EDI, BizTalk 2010.